There's no doubt that the phenomenon of human civilization hitting the technological singularity is just a few steps away. Given we live the next 20 years, we might experience a worldwide change where the evolution will be so rapid and intellectual that it will no longer make any sense. Keeping the jargon aside, we need to understand that it is again time, that our smartphones coalesce with our existence, biologically. Excited for iPhone X's face recognition feature? You might get a mild heartache with this upcoming security protection tool that scans your heart's dimension to recognize your identity. Sounds painful? Not so much if you know that the system is completely non-invasive. Who knows, one day a system might be able to read your unique DNA pattern and unlock your computer! Nothing's impossible in the vast universe of science and technology. A research team from the University of Buffalo has used a low-level Doppler radar to measure one's heart and continuously check whether you are the one present in front of the screen. As per the team, this is one of the safest and most secured futuristic ways of handling security than conventional biometric identifiers. This can't be fooled by one's memory but simply takes harder trials to break through one's unique identity. The lead author of the research, Wenyao Xu, Ph.D. and an assistant professor in the Department of Computer Science and Engineering in UB’s School of Engineering and Applied Sciences explained how it can be useful for every computer as he understands everyone's need of privacy. Xu also assured that the signal strength of the radar is much less than Wi-Fi signal. Being about 5 milliwatts, less than 1 percent of the radiation from our smartphone, the system does not possess any health threat and it is safe to assume that we will have a strong digital security with no loose ends. Initially, the reader takes 8 seconds to scan your heart and then it continuously monitors the geometry of the heart, its shape and size, and how it moves to make an identification. The system was under development for 3 years and as no evidence has been found of two people with identical hearts the system can well be tight and secured. Xu explained the hearts do not change shape unless they suffer from serious heart disease. 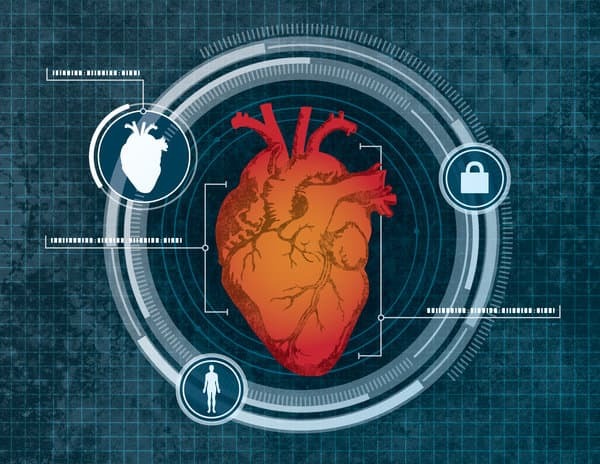 Although a heart based biometric systems have been used for a long time generally with the electrodes measuring electrocardiogram signal, a noninvasive process is certainly a new approach. The process has several advantages. Being a non-contact method, the users will not have to worry for authenticating themselves. Also, if the user is not in front of the PC, no one else will be able to operate it. The research team is thinking of integrating the necessary ingredients in a corner of a keyboard for heart-scanning. The complete research will be published in the 23rd Annual International Conference on Mobile Computing and Communication (MobiCom).